It’s August 25th, 2013, the final round of The Barclays tournament at The Liberty National Golf Club. Tiger Woods is setting up for his 2nd shot on the par 5, 13th. He is 10 under and 3rd on the leaderboard, placed 253 yards from the hole. The wind dies, Tiger launches into his shot with a 5 wood. The ball starts left and continues left, way left, 50 yards from the green and into the water. The gallery mutters in shock. 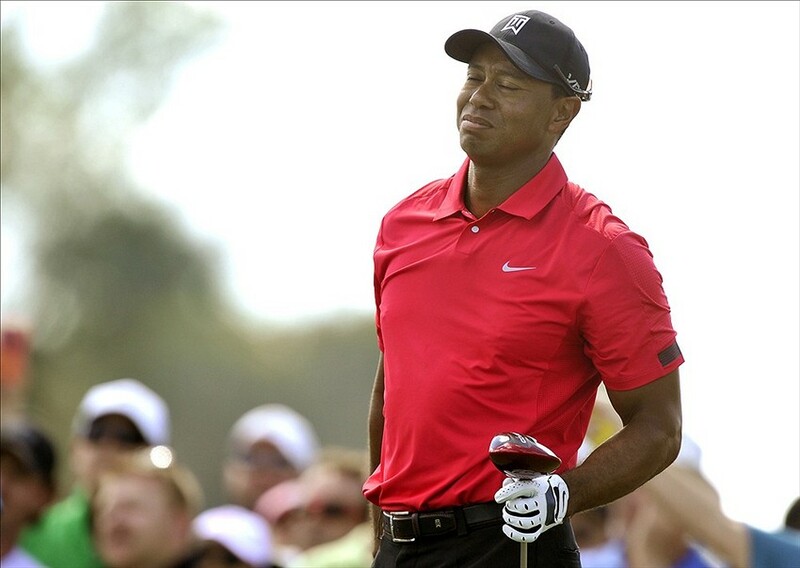 Meanwhile, Tiger falls to his knees, almost as if he has been shot. Suffering a violent spasm, the pain begins at a moderate intensity and the volume turns up and up to 10. The muscles seize and the back becomes as rigid. How does a tour professional prevent this? Whilst most golfers carry low back pathology from other aspects of there life (e.g. : sedentary job, heavy lifting and poor posture) the golf swing can place unnecessary stress on the spine. Although the lower back is the source of pain it often isn’t the cause. Undue stress may be placed on the lower back due to stiffness at other body parts; often the ankles, hips, thoracic (ribcage region) spine or the shoulders. The low back is forced to carry the dangerous movement to affect a normal swing. Consider the over-worked and over-abused employee just waiting to break down. Stiffness is a symptom of sedentary seated lifestyle, poor recovery and maintenance techniques between rounds. It is recommended that the modern golfer should implement and have self-manage recovery strategies which could include regular stretching, targeted strengthening and stabilization exercises. I’m sure many of you have seen the youngsters partaking in an elaborate program on the first tee wondering how folding into a pretzel is going to benefit their game. Despite having radiological findings people may achieve high functioning lifestyles with moderate low back pathology and experience no low back pain. Enter the Titleist Performance Institute (TPI), the world's leading educational organization dedicated to the study of how the human body functions in relation to the golf swing. Founded in 2003 by Dr. Greg Rose and Dave Phillips, TPI has gathered and analysed an incredible amount of data on players of all shapes, sizes, ages, and fitness levels. These smart minds behind Titleist’s professionals have developed a platform for assessment of golf swing mechanics and normal body movements required to achieve the perfect swing. The TPI believes that there is a million ways to swing a golf club but one particular pattern exists amongst all professionals. This still accommodates for individual tweaks or flair. The pattern requires force production to come from the feet on the ground. The swing moves from the hips, to the mid-back, the shoulder, the arm and then finally the hands and club. When this pattern is achieved ,the swing becomes consistent, predictable and efficient. We have all had our days of PGA perfection on the first nine only to fatigue and become inconsistent over the final nine holes, scoring a record blow out. Poor timing usually results from an underlying movement dysfunction. This forces swing compensations and undue stress on certain body parts, especially the lower back. Therefore the TPI have developed a 16-part movement screen that can be easily and regularly conducted by your pro, coach or medical professional. This screen isolates your movement dysfunctions (i.e. : stiffness in your mid-back) and allows you to monitor them. The next goal is to correct and maintain those dysfunctions, through exercise and then optimize your swing mechanics. Every golfer has different requirements to help them optimize their game, or to address specific needs around their injuries. Dean Little offers TPI screening and physiotherapy services from Golfers Under Repair (GUR) at Lifecare’s Prahran Sports Medicine. Call today to make an appointment and get swinging pain free.